That’s why AutomationDirect.com offers several free resources to help keep you up-to-date with the automation industry. 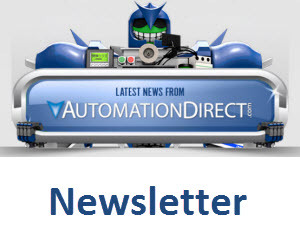 Get the latest Application stories, Tech Briefs, How to Articles and of course information on new products from AutomationDirect.com all for free. Sign up and start receiving our quarterly Automation Notebook Magazine and our Monthly Automation Newsletters. Sign up and start receiving our quarterly Automation Notebook Magazine and our Monthly Automation Newsletters.